Flicker with Whip of Erebos? Indestructible creature targeted with Bile Blight? How does [Arcbond] work here? I think you should maybe cut 3x Bone Splinters in favor of 3 other Instant removal spells. Fatal Push , Doom Blade , Murder , Hero's Downfall , Go for the Throat ... So many options. 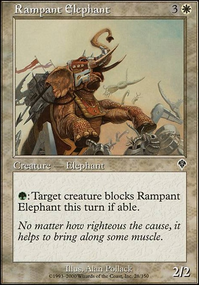 Sideboard: Keep your Shamble Back - it will be clutch against Siege Rhino . Keep Tainted Remedy as well. Move Relentless Dead to the mainboard or cut it completely. Cut everything else unless you really want to mainboard something. 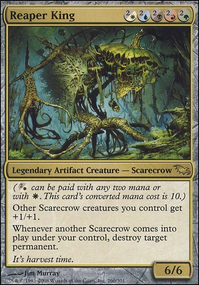 Add 1-2x Ghost Quarter , (great against Tron) 1-2x Pithing Needle (Will be helpful against planeswalkers and some artifacts (think Expedition Map !) and some enchantments (think Freed from the Real ! ), 1-2x Ratchet Bomb (Another way to get rid of nasty enchantments and artifacts), 1x Elixir of Immortality (life gain and anti-Turbo Fog/Mill), 2-3xGrey Merchant of Asphodel would probably be effective lifegain in the sideboard. Probably a board wipe of some kind would be good in the sideboard. Bontu's Last Reckoning is what I'd suggest, but there are lots of other options here: http://tappedout.net/mtg-decks/mh-board-wipe/ Killing Wave might also work. Smallpox could be decent, too, provided you can sac and discard zombies you can cast from the graveyard. If you do add some Smallpox, you'll probably want to add 3 lands, maybe even 4. I thought about putting in Conqueror's Galleon Flip but the crew cost was more than I really wanted to pay since most of the creatures only have 0-2 power. Oketra the True is nice but she has just a bit too much power to fit with the theme, but making tokens is nice, so maybe. Whip of Erebos won't actually give me that much life (unless I already have a Doran, the Siege Tower effect out), plus I think the deck is already gaining enough life. 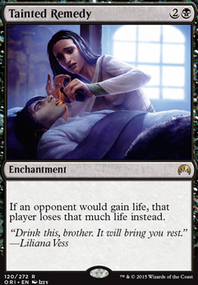 The temporary reanimation isn't bad, but the deck doesn't really need that at this point. 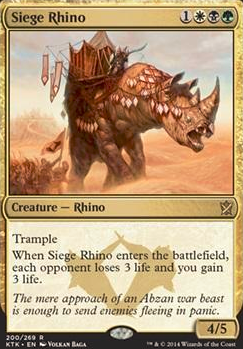 Siege Rhino is just good, but it doesn't fit the deck's theme at all unfortunately. Thanks for the recommendations though. You could consider these for this deck Conqueror's Galleon Flip, Oketra the True , Whip of Erebos , and Siege Rhino . Something I completely forgot about earlier, if you google “[card name here] ban announcement” you will usually find Wizards’ explination as to why the card was banned. It might help you understand the need for each ban a bit better. With regards to Vannifer, it is possible that deck could make a splash, but you’re running into the problem of (a) Vannifer effectively costing one mana more than Birthing Pod, and (b) Vannifer not being in GBW, as Birthing Pod was at its height ( Kitchen Finks , Murderous Redcap , Siege Rhino ) (though threats can probably be found to mitigate this issue). Ruin Skulker gets +1/+1 for each land card in a graveyard. 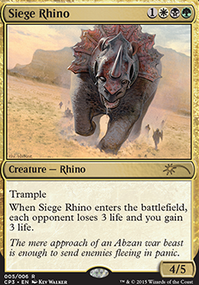 Here's a new challenge: Remember Siege Rhino ? 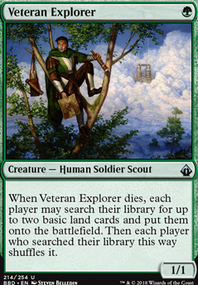 Create a 4-drop for any other Tarkir fraction that would have had similar standard impact as Siege Rhino had.